“Good Vibrations Saturday Night Nitro,” Auto Club Famoso Raceway, June 28, 2015 — In her first event win in a AA/Funny Car, Mendy Fry laid down a career-best 5.72 at 252 mph in “Smokey’s Darkside” ‘78 Challenger to claim the June 2015 edition of the “Good Vibrations Saturday Night Nitro” race at Auto Club Famoso Raceway. 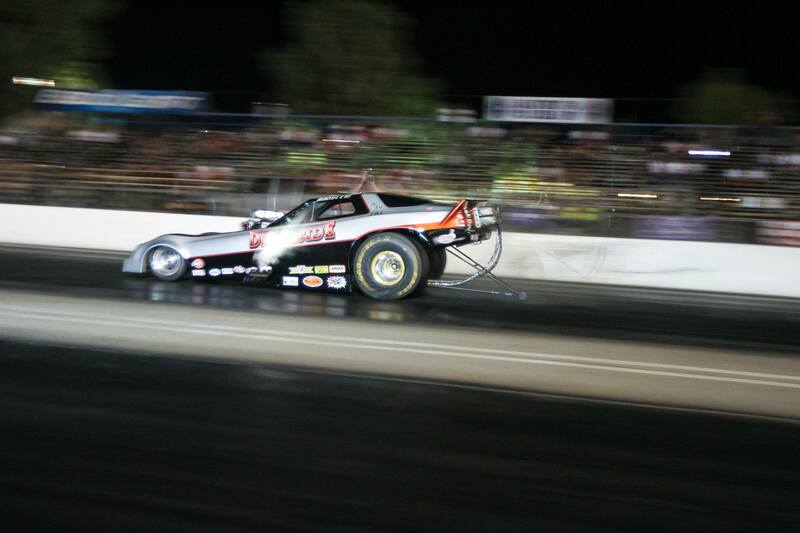 This was the quickest and fastest Funny Car pass ever with an Arias Hemi-Chevy using nitromethane as a fuel. Fry’s first was no mean feat. With over a dozen Nitro Funny Cars entered, Mendy had to outrun some of the finest fuel coupes on the West Coast, including James Day’s “Pedaler,” Rick Rogers’ “Fighting Irish,” Brad Thompson’s “Jailbreak” and more. 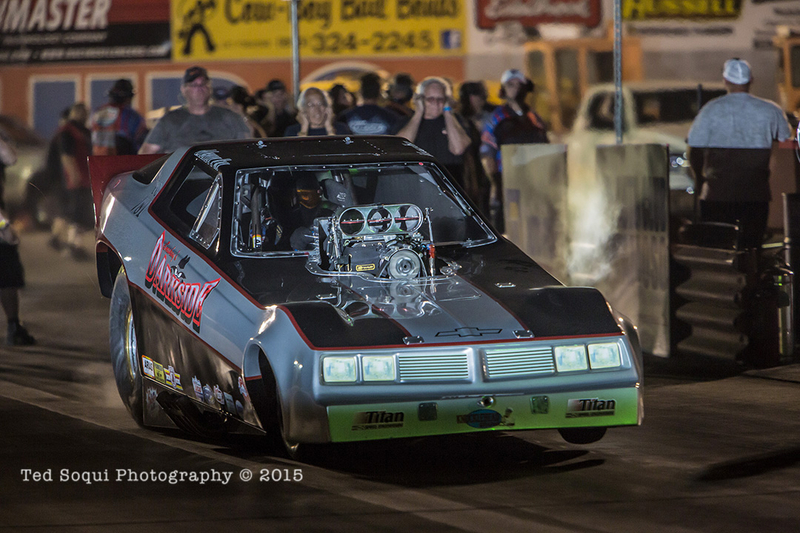 After posting a 5.97 in the first session, “Darkside” tuner Smokey Alleman added a radical amount of timing and instructed to Fry to crank up the nitro percentage. Aided by those corrections, in the second and deciding round, the Darkside improved its performance by over two-tenths of a second. Fry’s faith was finally rewarded, as Saturday’s winning 5.72 was nearly a tenth quicker than the event runner-up, Robert Overholser. While trying to chase down the Darkside’s number, Overholser turned an elapsed time of 5.81 at 253-mph in the Ronnie Swearingen-tuned “California Hustler.” Unfortunately for the Hustler and the rest of the Chrysler’s, they were no match for the Alleman’s Arias Chevy-Hemi. She wasn’t the only one proven wrong.